A Disney vacation is the perfect place for a military family to spend time together and think of nothing else. It’s the ideal location for a pre-deployment getaway, for reconnecting after a deployment, or for a special treat for the kids while mom or dad is away. 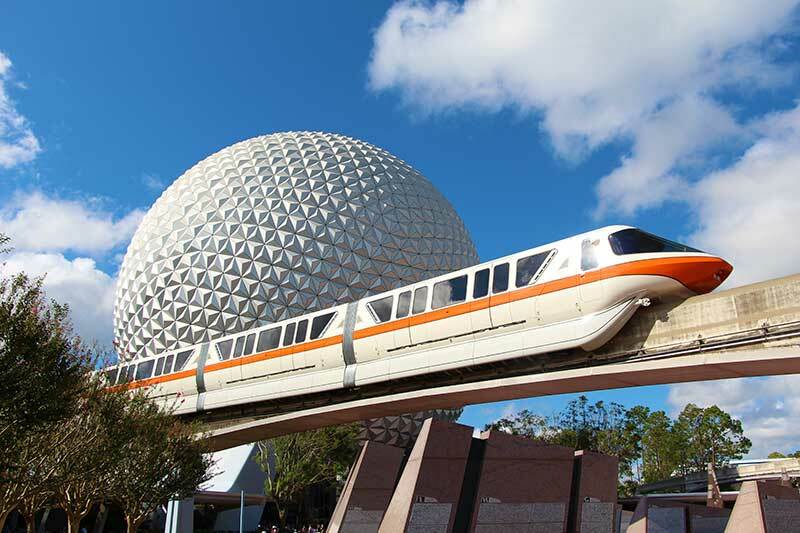 Planning a Walt Disney World vacation can be a complex endeavor for any family. During your planning you’ll make many decisions that will affect all aspects of your vacation. Throw in the complexities of the many varied military deals and discounts which are available from multiple sources and it can become a daunting task. That’s why Military DisneyTips recommends that you use an Authorized Disney Vacation Planner. If you’ve explored Military Disney Tips a little, you are probably already aware that we recommend Ears of Experience as our preferred Authorized Disney Vacation Planner. Using an Authorized Disney Vacation Planner can take all of that stress out of planning a Walt Disney World or Disneyland vacation. They will handle everything for you and guide you to the right decisions. Unlike traditional Travel Agents or online self-serve websites, Authorized Disney Vacation Planner’s are Disney specialists who have completed mandatory training by Disney in order to become “Authorized.” And very often Disney vacations are all that they do, they focus on nothing else. Authorized Disney Vacation Planners get into this field because they love planning Disney vacations. Most begin this after planning multiple Disney vacations of their own. Because they only do Disney and love Disney they are some of the most knowledge individuals about Disney on the planet. Authorized Disney Vacation Planners are paid a commission by Disney on the trips that they book. Neither Disney or your Authorized Vacation Planner will add an extra charge to your cost for room, tickets, etc. You’ll pay the same if you do all the work or if you let your Authorized Disney Vacation Planner do it. Your Authorized Disney Vacation Planner watches out for you. They live and breathe Disney every day and are in constant contact with a special team of Disney agent only reservationists. Your Authorized Disney Vacation Planner knows when new discounts come out for the timeframe that you have already booked and will automatically re-book you at the new lower price. 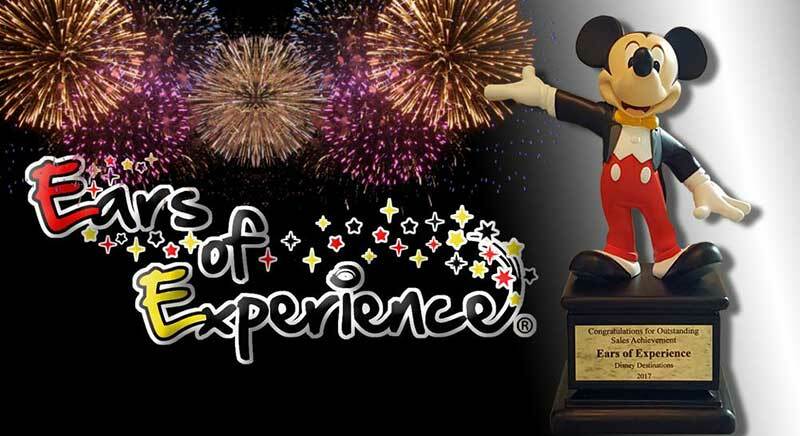 Military Disney Tips’ recommended Authorized Disney Vacation Planner, Ears of Experience has received the Platinum Earmarked award for 2018 from Disney Destinations. There are only a select group in this elite classification of Authorized Disney Vacation Planners! Ears of Experience has a large number of military spouses on staff to assist you with your military discounted vacation. While other companies may have at most one or two military experienced individuals (or most likely none), Ears of Experience is: 1. owned and operated by a military family and 2. has a very large number of agents with military Disney experience ready to assist you. These agents use the same discounts that you do, so they are totally familiar with them. Ears of Experience is Disney’s largest booker of military discounted Travel. There will be no guessing by a civilian about military discounts! We’ve outlined many reasons above. The 2 biggest reasons are that they are part of our military family and have Years of Experience (get the name now?) with Disney vacations. In the 8 years that Military Disney Tips has recommended Ears of Experience, our readers have made over 13 thousand quote requests from our trusted partner. 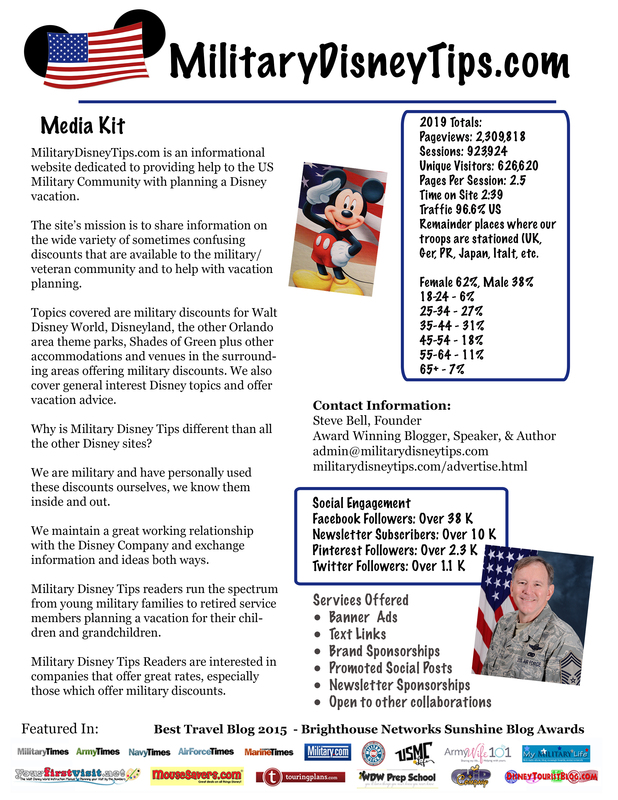 Ears of Experience – Military Disney Tips’ Recommended Disney Only Travel Agent. We hope that you will give Ears of Experience a try for your Disney Vacation! Note, Ears of Experience also provides services for those not staying with Disney and those who are interested in a Universal Studios Vacation. We’re using Ears of Experience and are very pleased. Counting the days til October! We would like help with a trip to Disneyworld. Our daughter graduates Nov 16 from Parris Island. We’re thinking of bringing her to Disneyworld after graduation. You should definitely get with Ears of Experience as this post suggests. Good afternoon, do you have a couple recommended agents to talk with a lot of experience/knowledge and more specifically geared towards military discounts/strategies? Just looking for the best fit. You will see all over the site and in the post above that I recommend Ears of Experience. Military family owned with a large number of mil spouse agents. Only experienced mil spouses handle the referrals from my site.